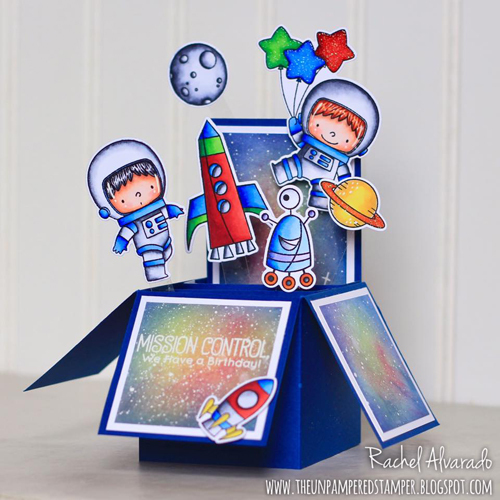 Rachel's crazy cool card in a box pairs Space Explorer with Out of This World in a seamless intergalactic look. Her unbelievably awesome coloring and orbiting elements make this the perfect look for a boy celebrating his birthday with a space-themed party. 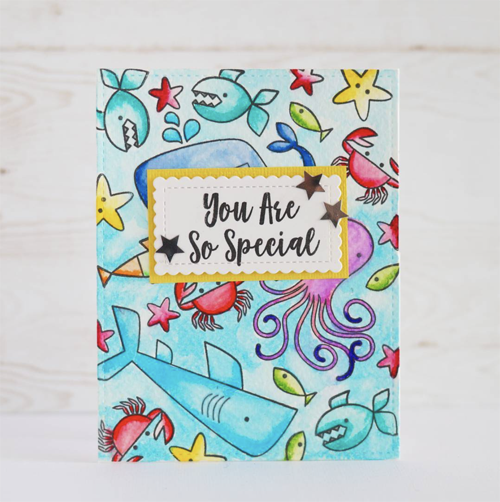 A watercolored Ocean Pals patterned panel is kind of perfect — what better coloring medium for this aquatic-inspired set? Whoever the lucky recipient of Seungeun's stellar card must be very special indeed. Valliam took inspiration from a recent Color Palette Challenge and combined it with some sweetly sleeping Playful Pups. I'm inspired by her design — especially her use of white space. I love the slim sentiment strip that serves as a groudning element to her pups as well. 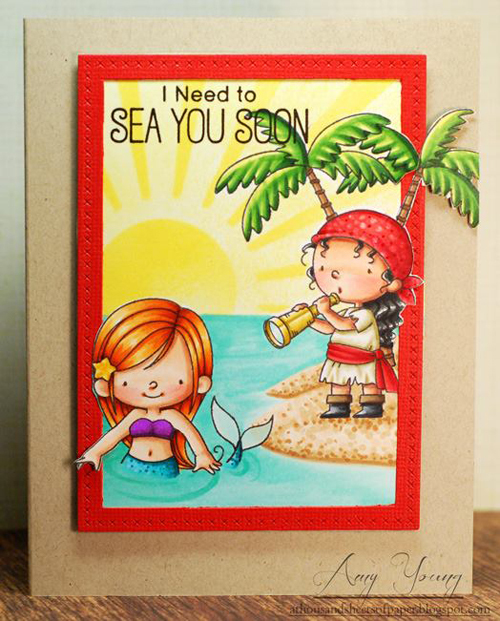 According to Amy, the Mermazing and Party Like a Pirate sets were made for each other. We tend to agree — especially after spotting her inviting island scene. 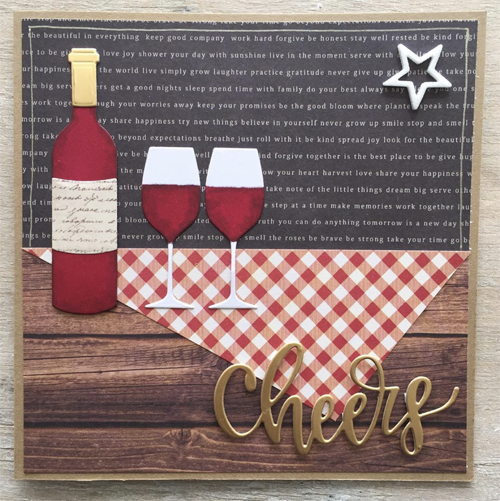 Wine Service and the Cheers Die-namics are rendered so elegantly on Linda's richly colored and patterned card. I'm ready to pack a basket with some vino and snacks and head out on a picnic adventure...how about you? All of these creations are so beautiful - TFS the art work! I really just want to say WOW and thanks for sharing these wonderful cards with us. Wowzers! These are all so fabulous! These are amazing cards everyone!